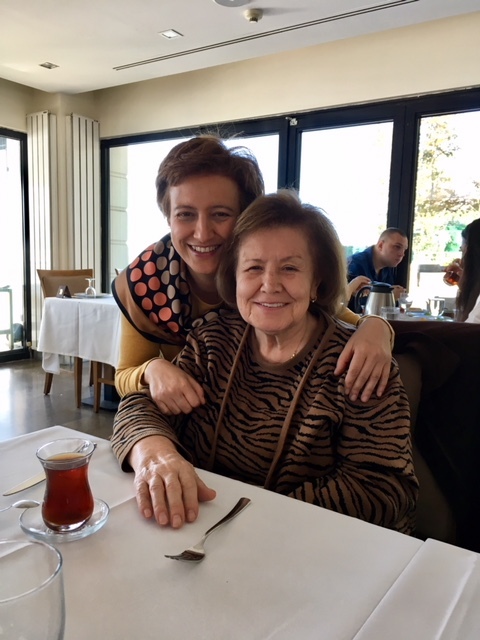 I had a flying but a very special visit back home, to Istanbul last week; mainly to spend some quality time with my parents and family, every minute of it was precious. 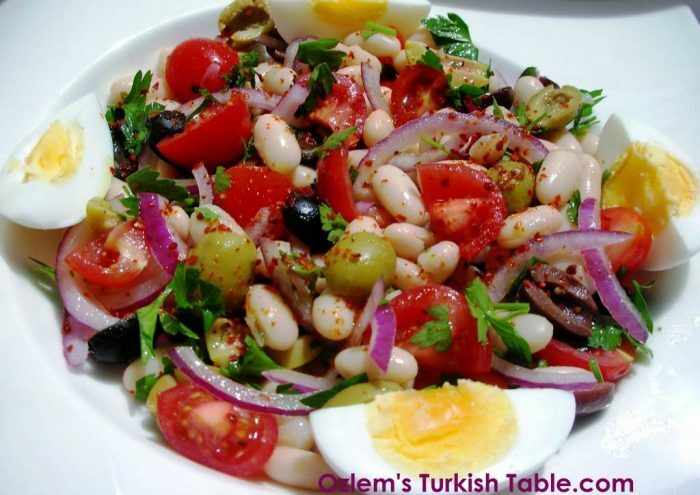 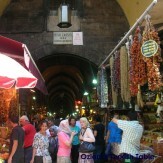 The trip coincided with finalising my cookery book coming up, Ozlem’s Turkish Table, Recipes from My Homeland. 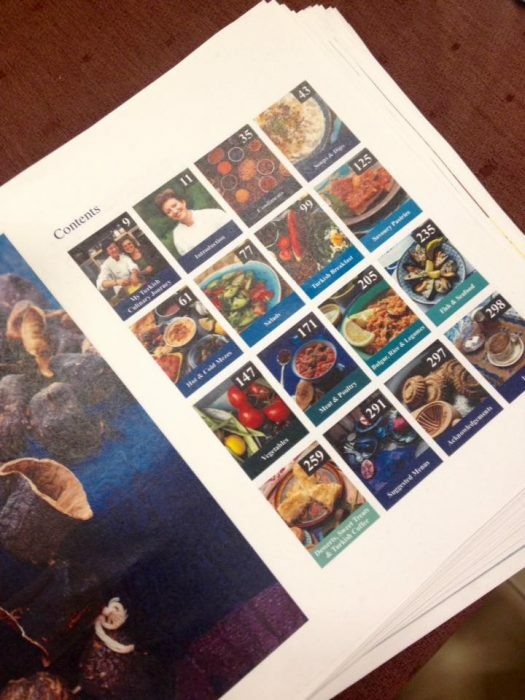 I had a chance to show the final print outs to my parents, it was a special and emotional moment for us all. 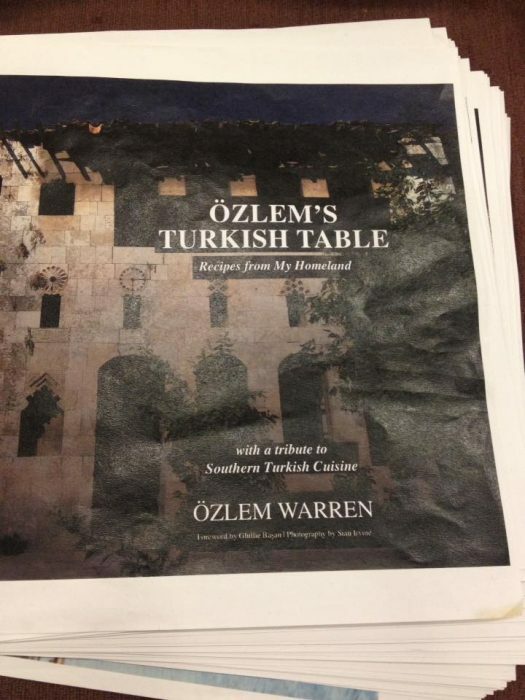 Ozlem’s Turkish Table cookery book, final proofs! 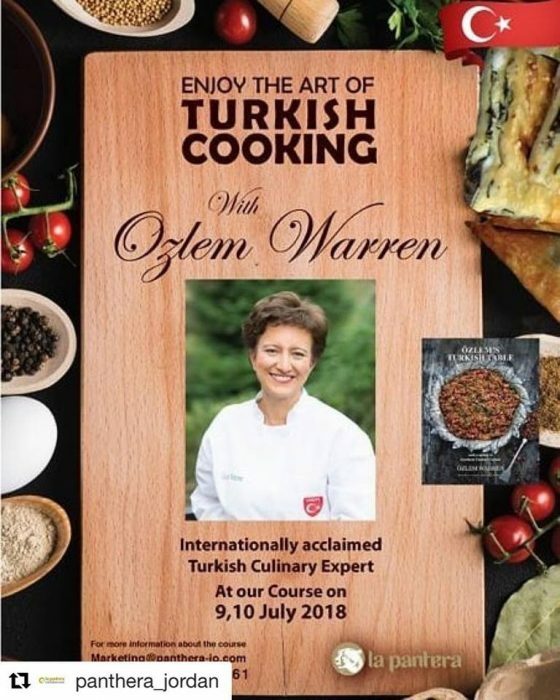 This special book has been a legacy of my parents, who instilled in us the love of good food, passion for sharing with others and love for our Turkish cuisine. 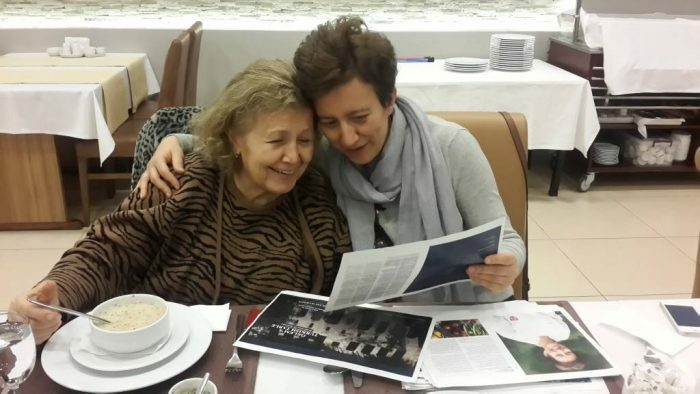 It was a special and proud moment to show them the fruits of our labor; I am over the moon that they loved the book! 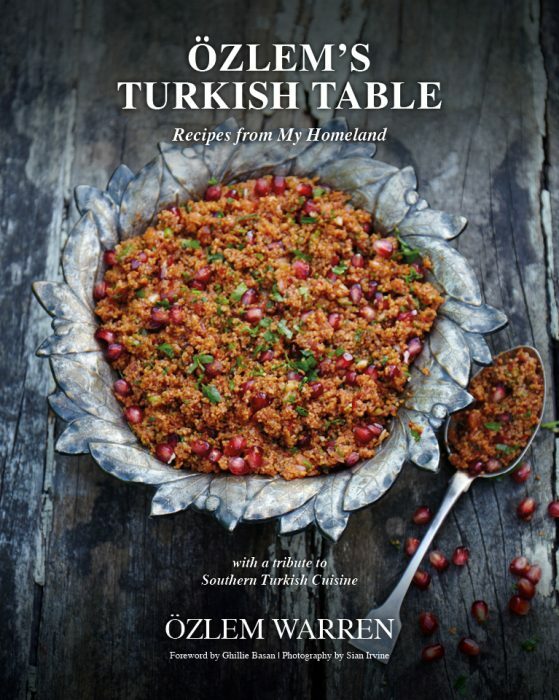 :) The book pays special tribute to my southern Turkish roots, with my family history, family photos and recipes and really is beautifully made with gorgeous photography by Sian Irvine Food Photography– you will love the vividness of the colors, market photos, beautifully shot photos of each recipes and showcasing thousands of years of culinary heritage of Turkish cuisine. 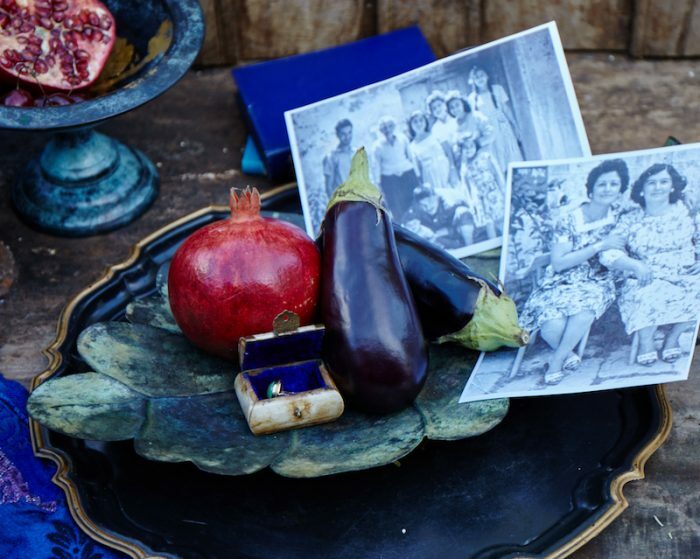 A warm, lovingly made book, also a love letter to my homeland, I can not wait to share with you all. 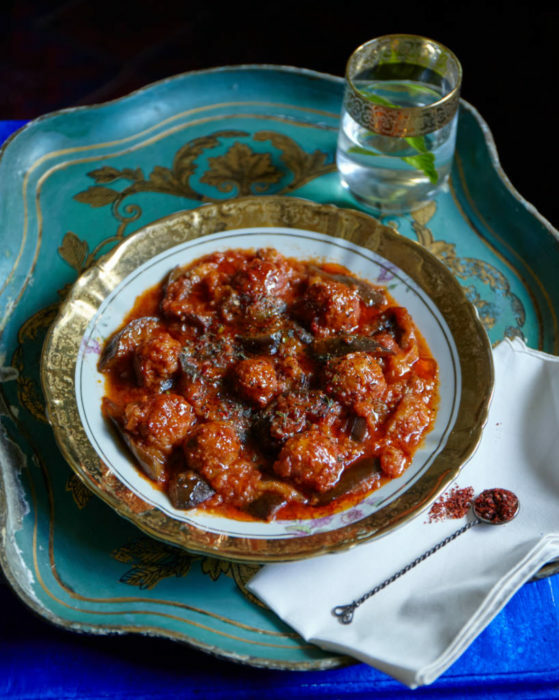 My book is on pre-order now and it could make a lovely gift to a food lover. 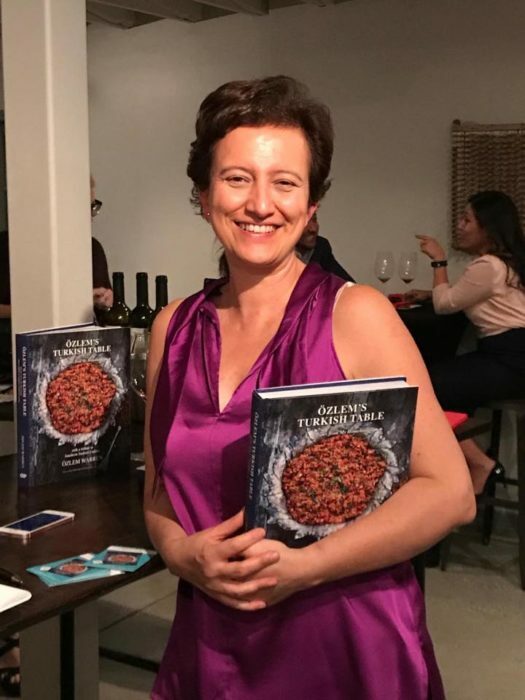 You can pre-order here with 10% off pre-order discount only for this period; please enter the promo code Pre-Order Special before the check out at this link, to apply for 10% discount. 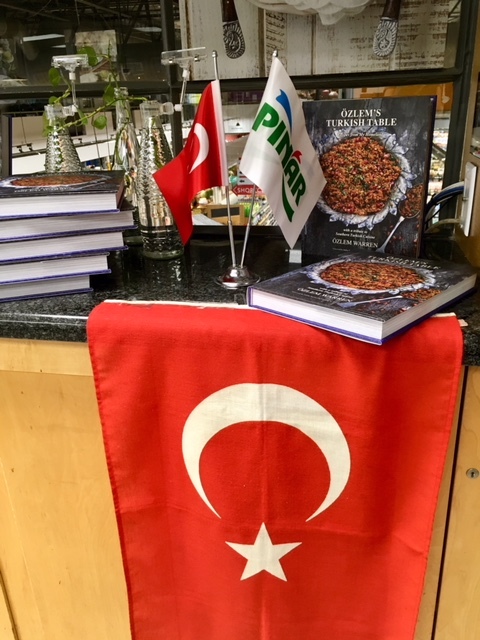 Pre-orders will be shipped worldwide (including Turkey) in March, prior the general release of the book in April 2018. 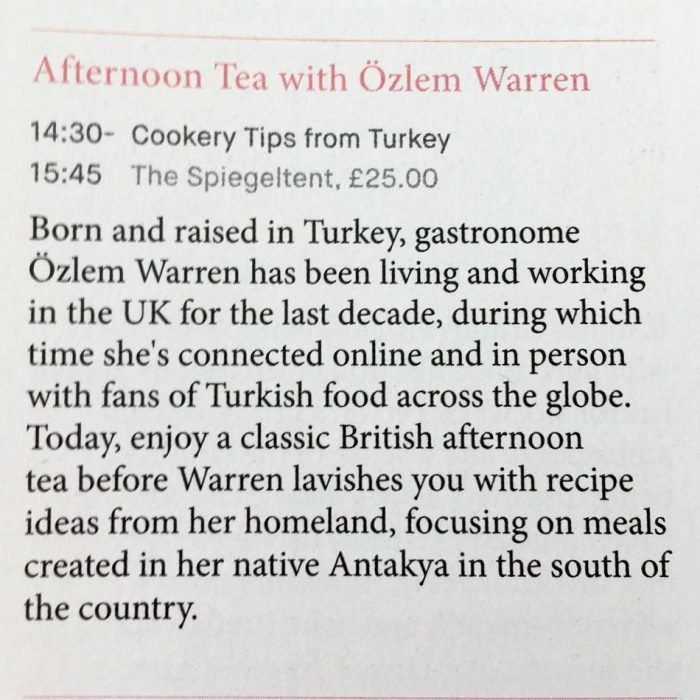 It’s a lovingly made, special book and I truly hope you enjoy it and it brings happy memories of my beautiful homeland, Turkey. 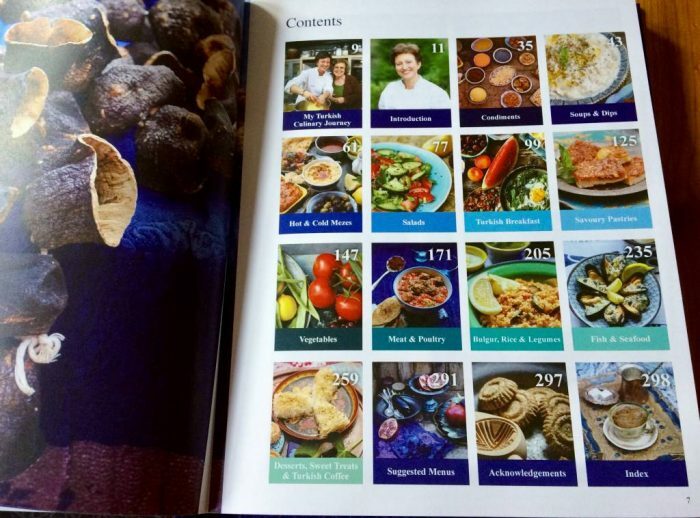 One of the feedback you readers kindly gave for my book has been to include Menu Suggestions in the book. 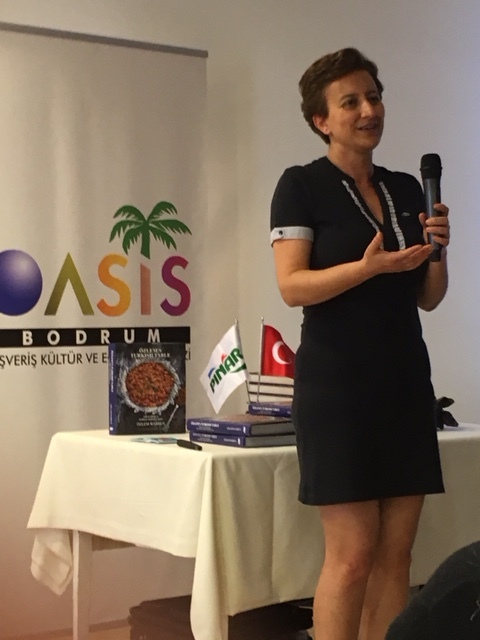 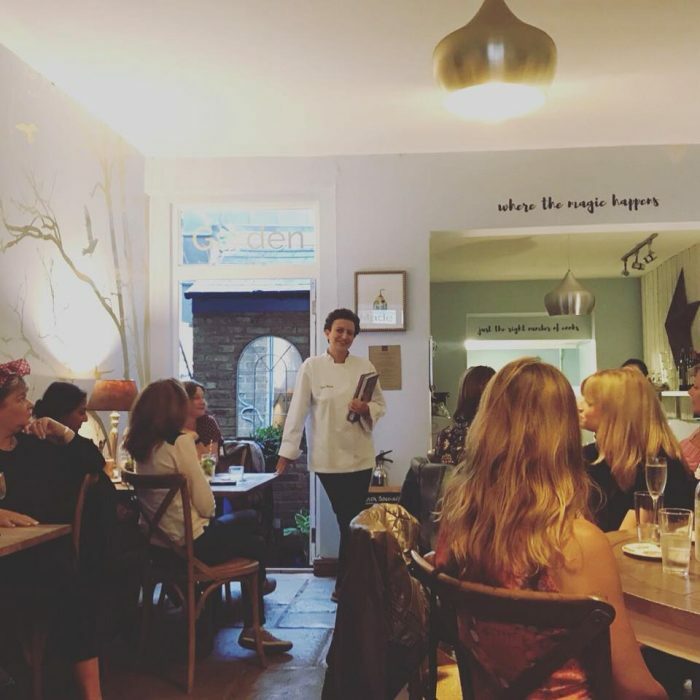 And I kept my promise and included a variety of menus in the book, to help with meal planning; such as Traditional Menu, Vegetarian Menu, Gluten-Free Menu, Mezze based menu, Southern Turkish themed menu, Kebab based menu etc. 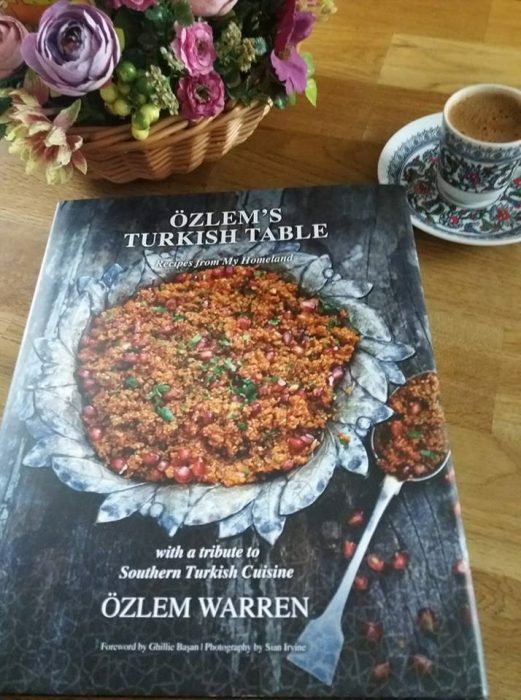 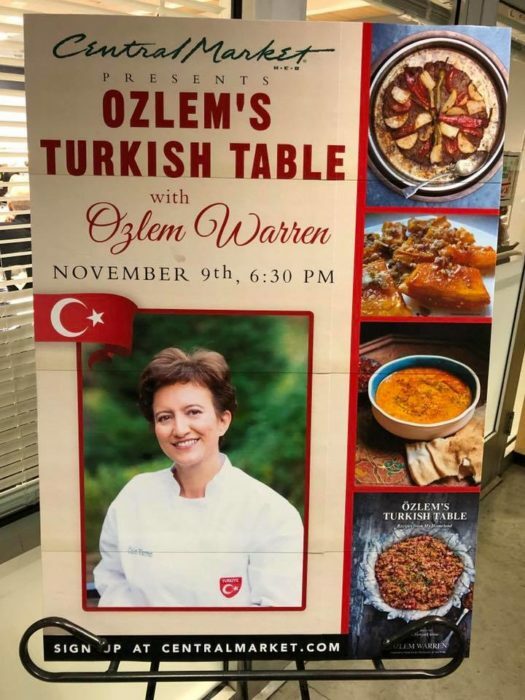 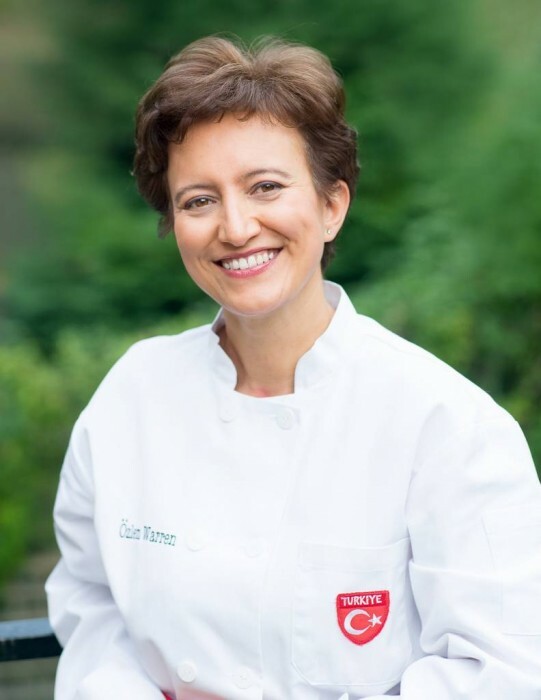 Inspired by this, I thought to share some Turkish meal ideas with recipes and their beautiful images from my upcoming book, Ozlem’s Turkish Table, Recipes from My Homeland, so you can enjoy with family and friends over the festive season, I hope it inspires to you all. 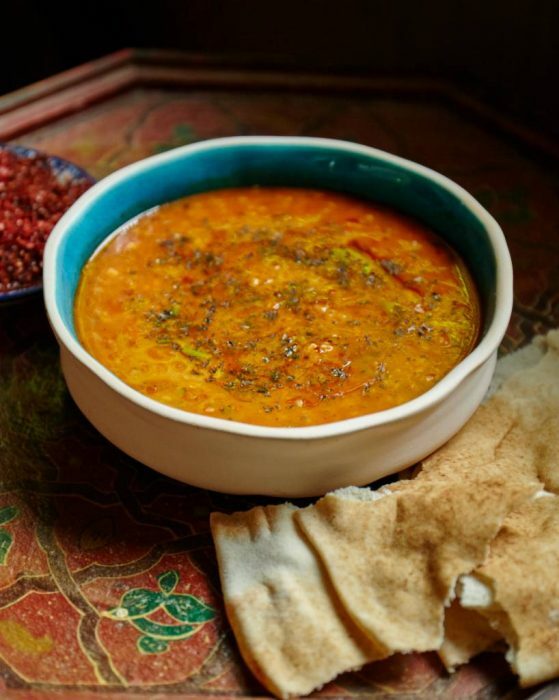 We Turks always start our meal with soup, corba, traditionally and I can’t think of a better soup than Ezo Gelin Corbasi, Spicy bulgur and lentil soup to warm us all. 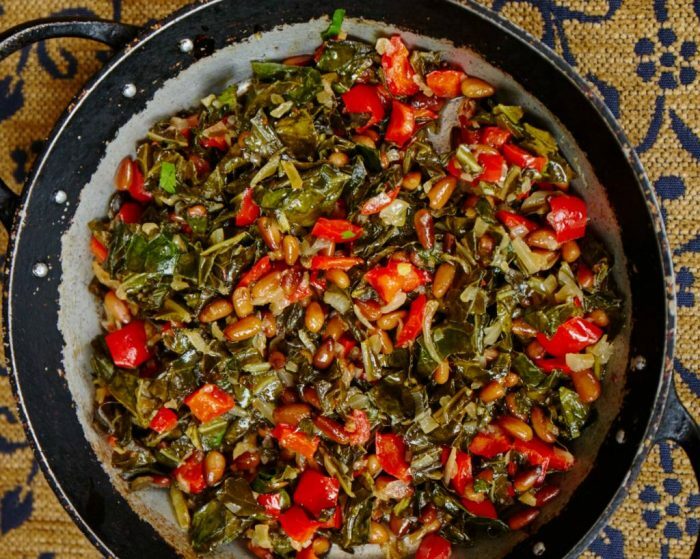 So easy to make and dried mint and red pepper flakes flavor this soup so beautifully; you can make a big batch and freeze left overs, one of our firm favourites. 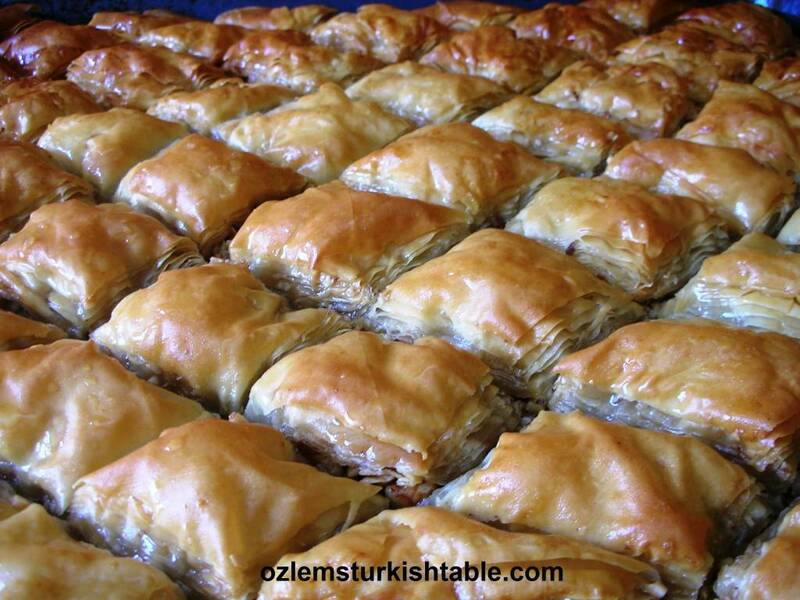 Boreks, savory pastries with fillings are a huge favorite in our home – children love them as well as adults. 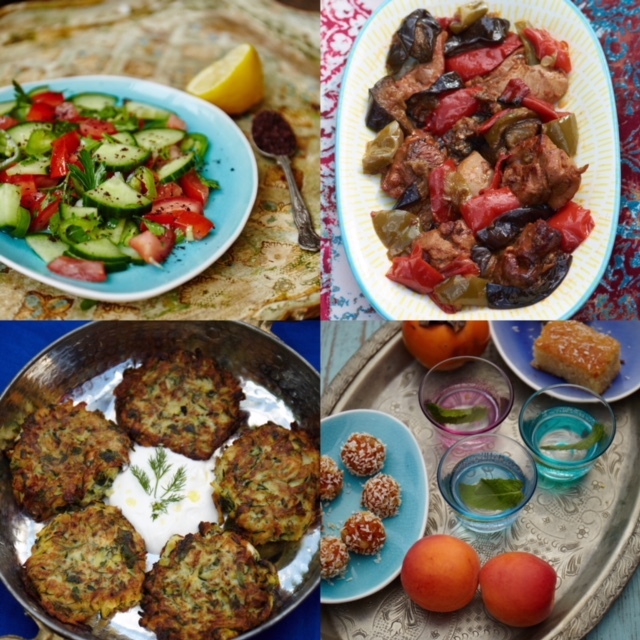 How about an assortment of boreks for the festive season, like in this image from my cookery book? 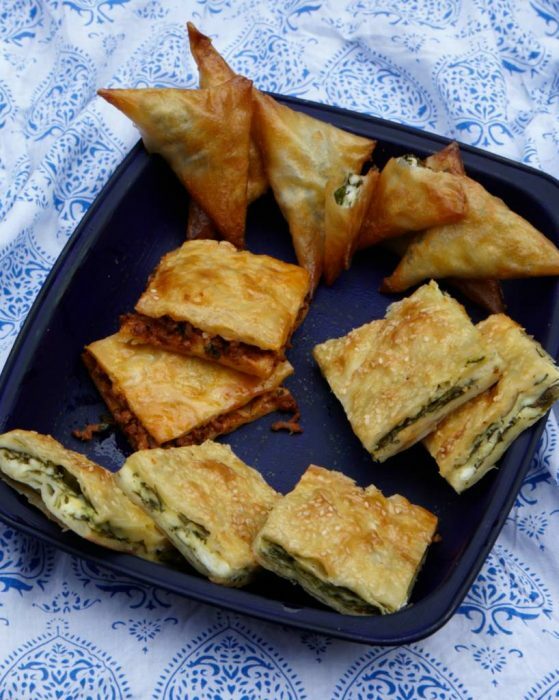 Traybake Spinach and cheese filo pastry, Ispanakli Borek, Traybake filo pastry with ground/minced meat, Kiymali Borek or filo triangles with cheese and spinach or parsley, Muska boregi, would all be great crowd pleasers. 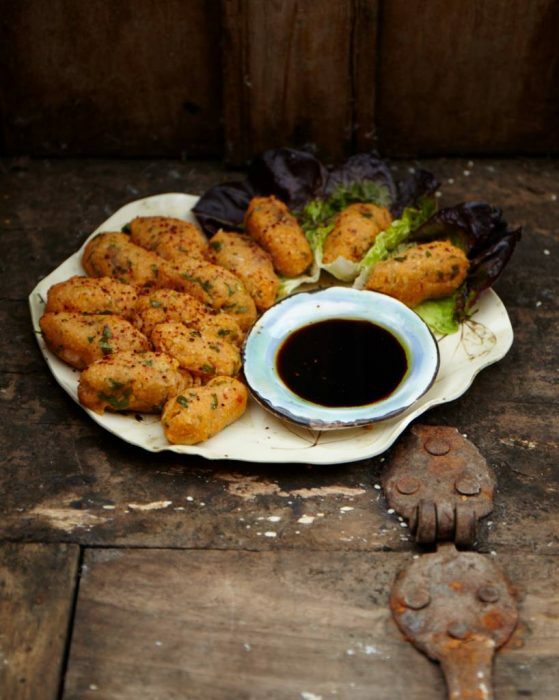 I will definitely be making these scrumptious Potato and Bulgur Patties, served with pomegranate molasses, during the festive season. 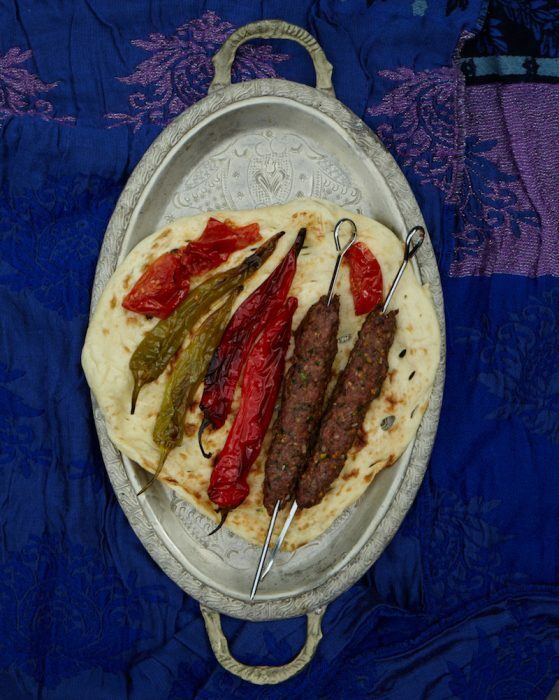 They are so easy to make and absolutely delicious; pungent cumin and red pepper flakes flavor these patties beautifully – you can serve as a side to your mains; they are absolutely lovely when dipped in to pomegranate molasses, nar eksisi – a delicious southern Turkish specialty. 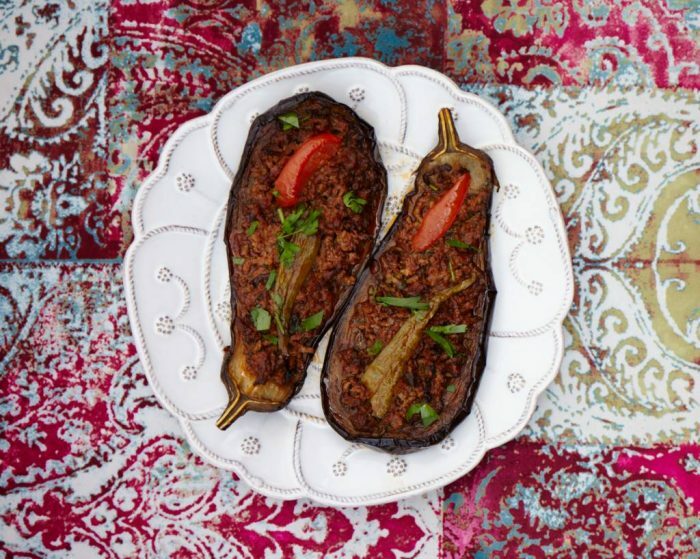 Aubegine/eggplant is king of vegetables at home and Karniyarik, stuffed aubergine/eggplant with minced meat and vegetables always makes an appearance in our festive tables. 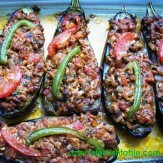 You can also make Split aubergines/eggplants with vegetables filling, Imam Bayildi, if you prefer the vegetarian option – love them both. 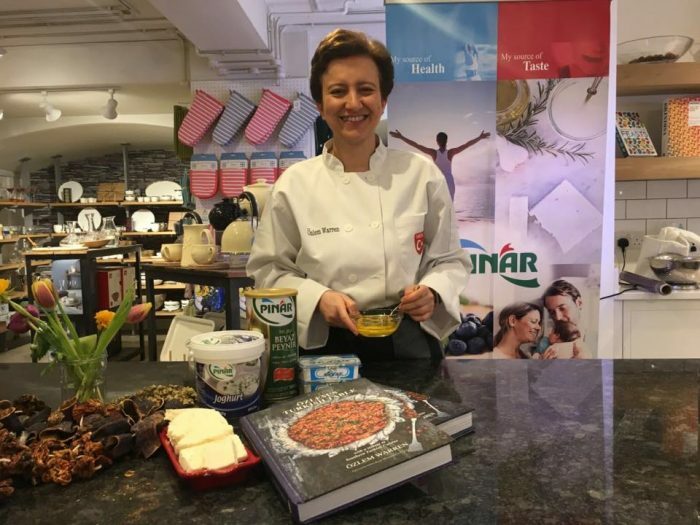 There can be quite rich food and indulgence during the festive period and I opt for fruity desserts most of the time. 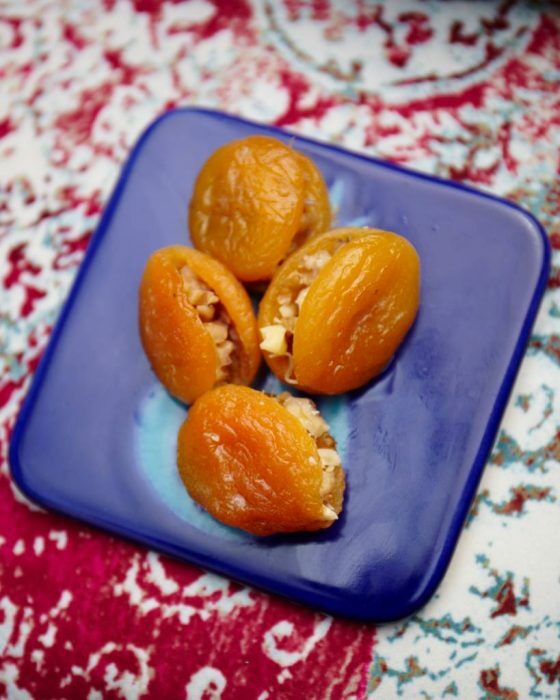 This baked dried apricots with walnuts fits the bill perfectly; healthy, light, easy to make and great for entertaining – also gluten-free. 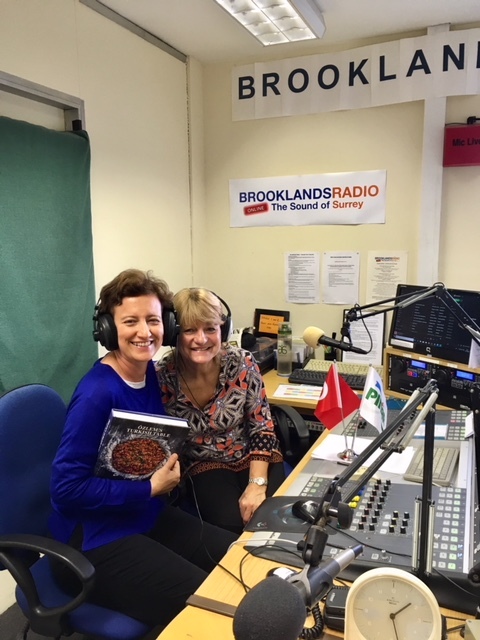 Turkish coffee, Turk kahvesi is a special drink for us – it really is a more than a drink with all its rituals and it is the perfect end to a special meal. 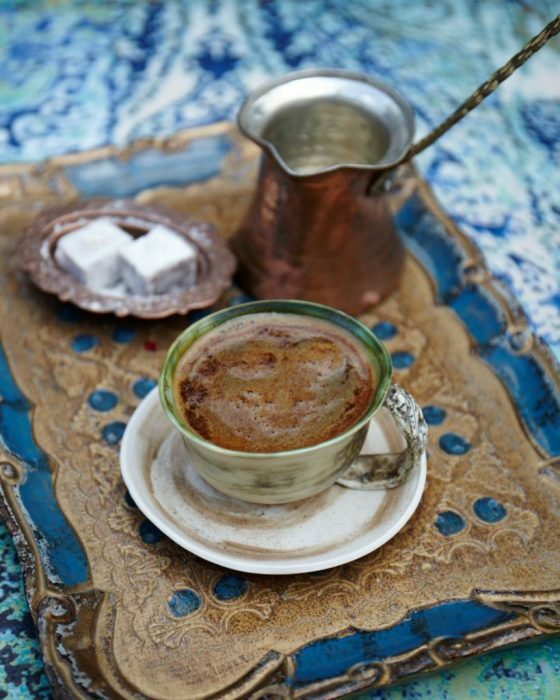 Here’s how to make the perfect Turkish coffee. 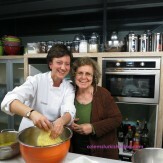 I truly hope these would give you some ideas to enjoy with family and friends over the festive season. 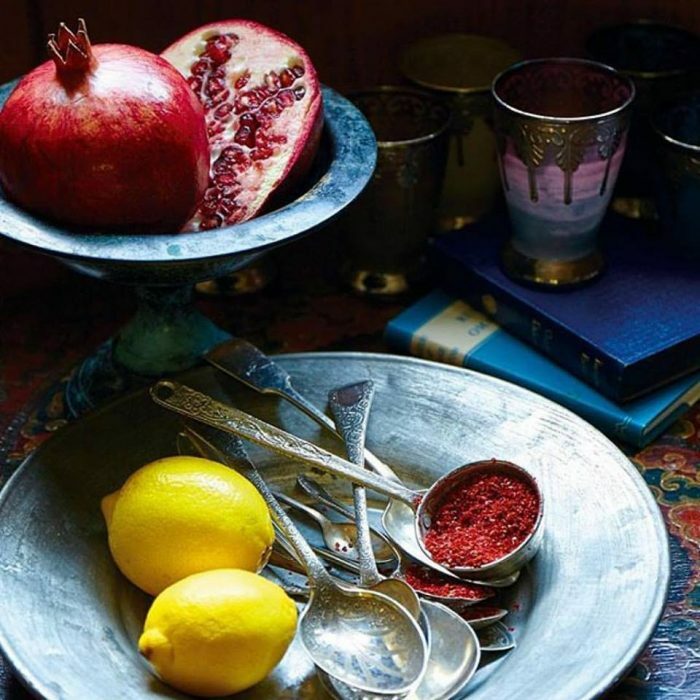 My very best wishes to you all for the festive season and the New Year. 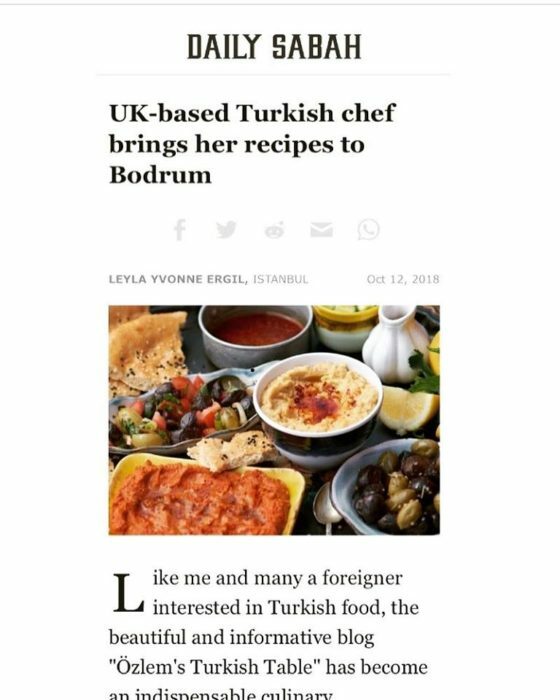 It’s been such a pleasure to share delicious Turkish cuisine with you all and more to come in 2018!